The Martha Graham School is the oldest professional school of dance in the United States and the only one primarily focused on the Martha Graham Technique and repertory. Classes are taught by faculty who are current or former members of the Martha Graham Dance Company, and who trained with Martha Graham herself or with her first-generation acolytes. Students studying at the Martha Graham School have moved on to professional dance careers with the Martha Graham Dance Company, Paul Taylor Dance Company, Jose Limón Dance Company, the Buglisi Dance Theatre, Rioult, and Battery Dance Company, as well as on Broadway and with other companies throughout the world. Full-time programs are offered for intermediate and advanced pre-professional students seeking excellent training in the Martha Graham Technique and repertory along with theory, pedagogy and related disciplines. Developed for students seeking a career in dance. This two-year, full-time program offers in-depth studies at professional standards, including Martha Graham Technique, acting, anatomy, history, repertory, composition, music, and performance. For advanced students on the cusp of a professional career. This program is designed to be a fast-track to a career with a professional dance company. Classes include Graham Technique, repertory by Graham and some of today’s top choreographers, composition, and performance studies. For advanced/professional-level students wishing to pursue a career in dance education. This one-year, full-time program addresses teaching approaches and methodology in the first semester, and teaching practices in the second semester. Designed for students at all levels who wish to engage in a rigorous study in Graham Technique. Students are accepted into the Independent Program on the basis of teacher recommendation, personal essay, and/or demonstration of commitment. The Martha Graham School’s leading educational outreach program, Teens@Graham, offers aspiring dancers ages 13-18 the opportunity to improve vocational skills and academic performance through study of the Graham Technique, composition, and repertory. The mission of the conservatory-based Young Artists Program is to further teens’ development as artists using the Graham Technique and repertory as a foundation for study. Our new, year-round Pre-Teens@Graham Program for dancers ages 10–12 is a specially crafted dance-training program targeting pre-teen dance development. Our Winter and Summer Intensive Programs are designed to help students strengthen their dance and academic performance through study of the Graham Technique™, Ballet, Contemporary, Composition, and Repertory. The All-City Panorama project provides public school students ages 13-18 from all five boroughs the opportunity to perform Martha Graham’s seminal work, Panorama. Offers middle and high schools in New York City the opportunity to enhance their modern dance programming with the Graham Technique and to integrate Graham into curricula. 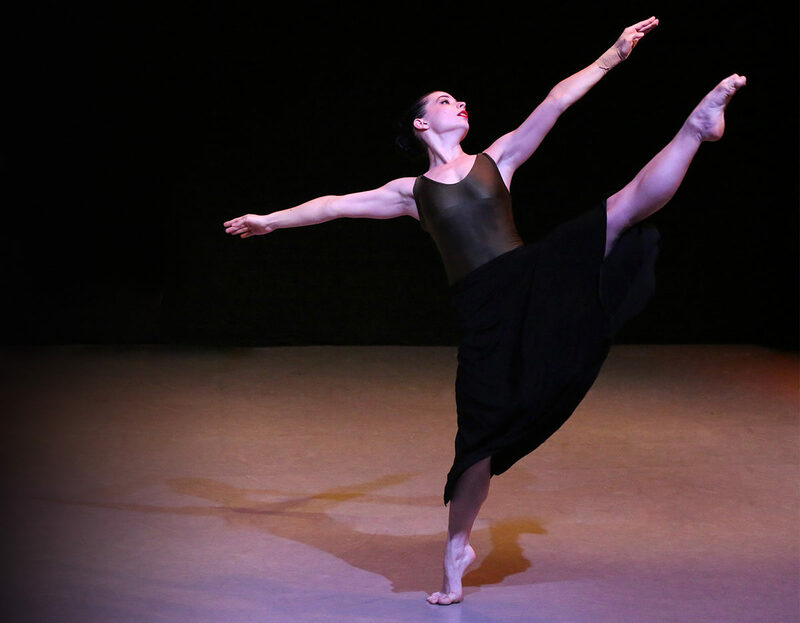 The Martha Graham School Summer Intensive offers dancers a rigorous program in Martha Graham Technique™ and Repertory, Dance Composition, Ballet, and Contemporary. Open to instructors of all dance disciplines wishing to gain an introduction to or deepen their understanding of the Martha Graham Technique™. Designed to help students strengthen their dance and academic performance through study of the Graham Technique™ and Repertory, Ballet, Contemporary, Composition, and more. This comprehensive video guides you through the essential elements of Beginning Level Graham Technique® including the contraction, release, spiral, and other basic exercises – all demonstrated by members of the Graham Company. Directed by Miki Orihara and Susan Kikuchi, the video also includes bonus interviews with many former Graham artists!